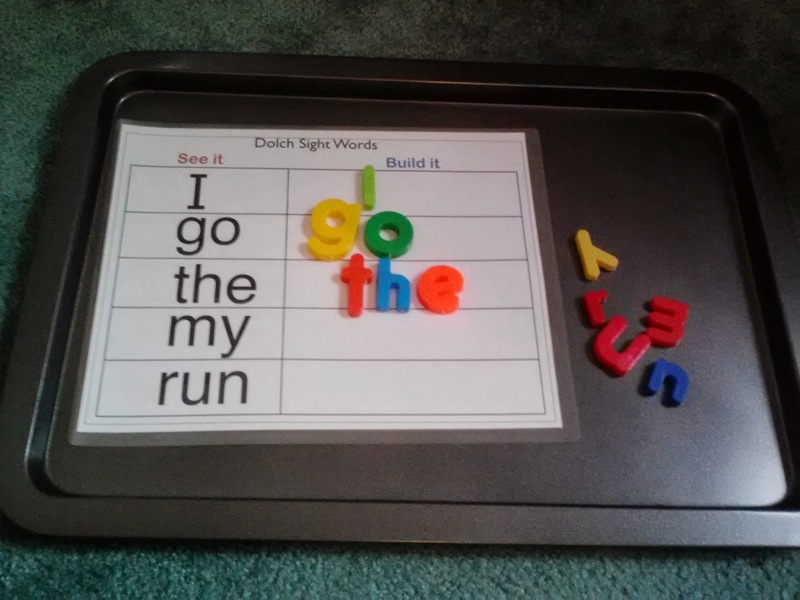 Dolch sight word mats “see it and build it mats”- first 40 most used words in the english language, download Dolch Sight Words free here for free and use with letter magnets or letter tiles! 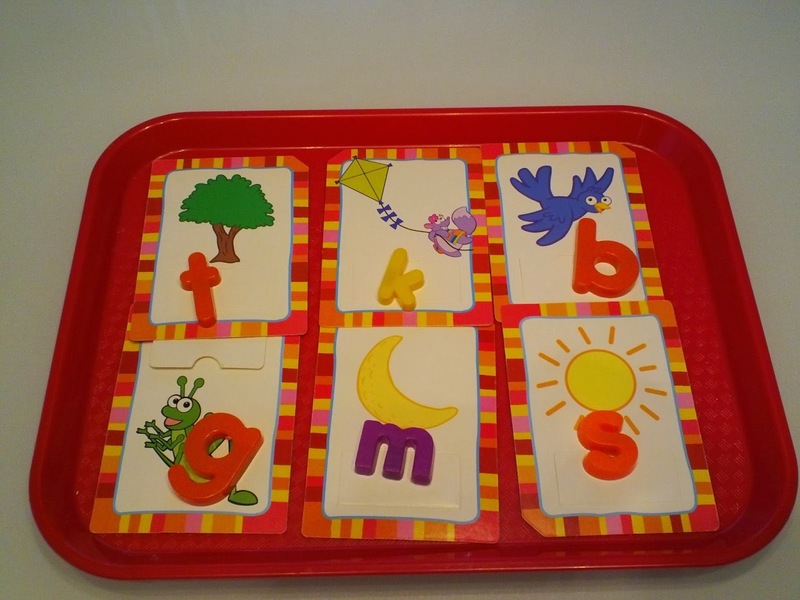 take picture cards or flash cards you have at home and have them match the beginning letter sound with the magnetic letters, “t” for tree…etc..
Find objects around your house that match your picture cards and create an object matching activity object matching activities. 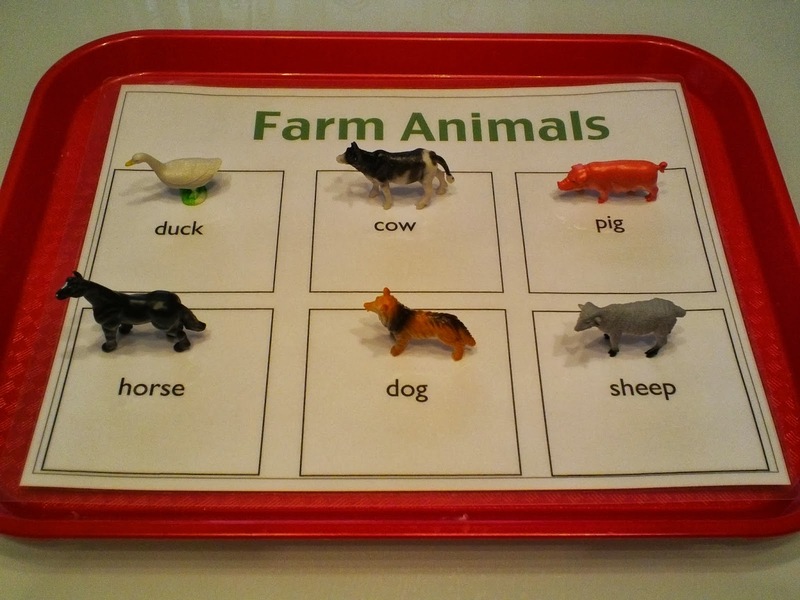 Get miniature animals and objects then find pictures for them online, create a matching mat- It is a great language activity. 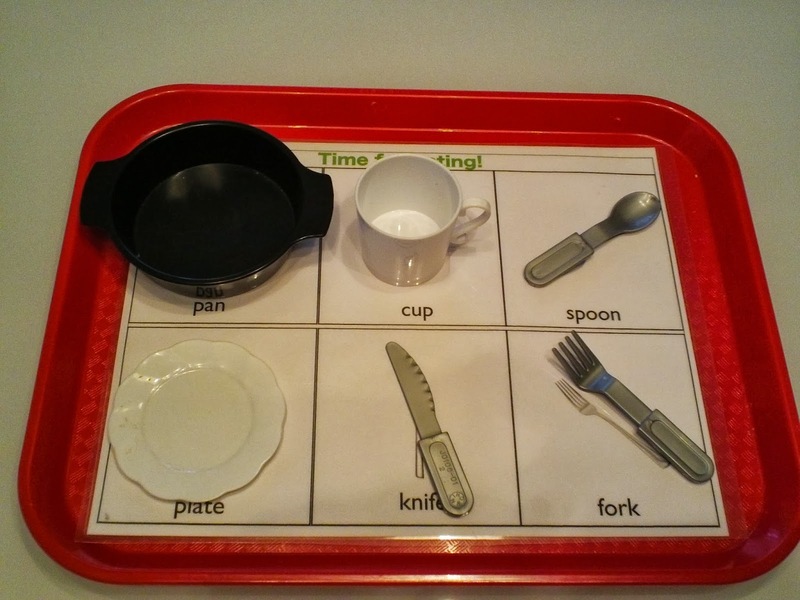 I used some play eating utensils and created a matching mat by creating a table and adding pictures from the internet of the eating utensils. 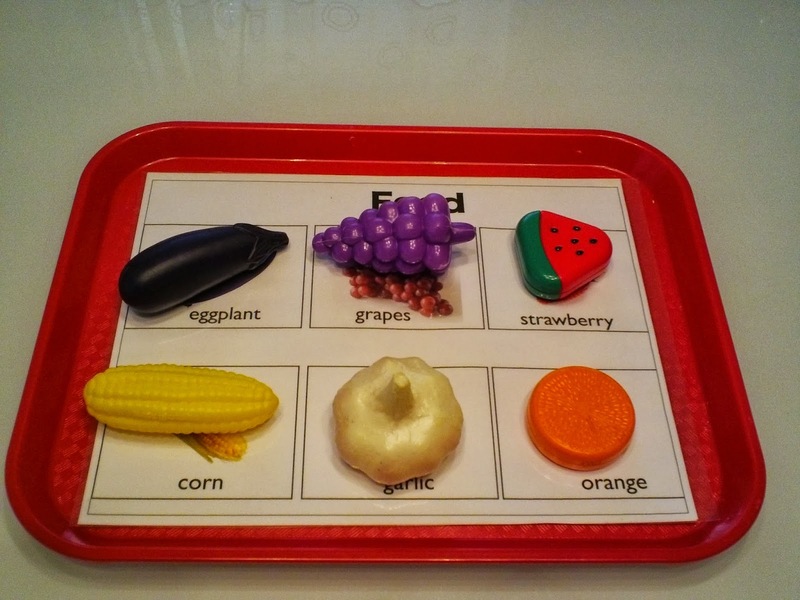 One side has pictures and the other has only words to make it more challenging for readers. 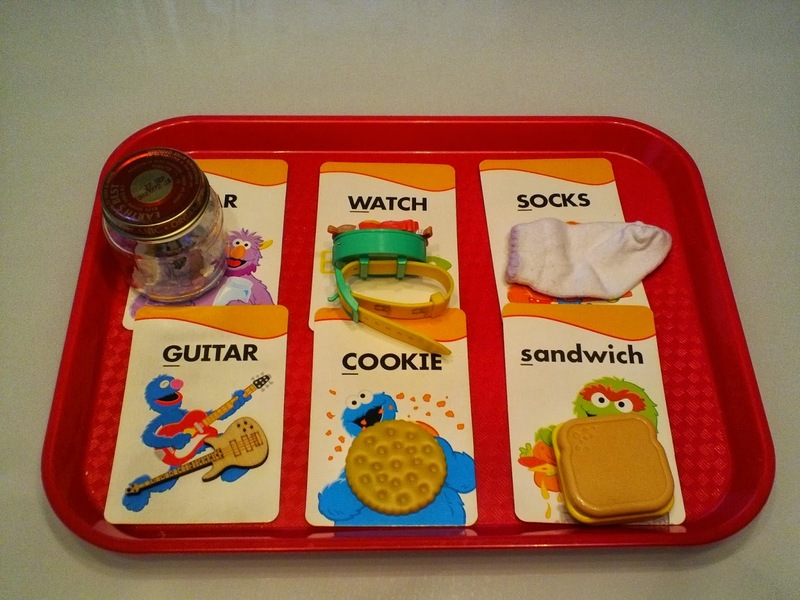 Here I got some food items from our play kitchen toys and created a matching mat. 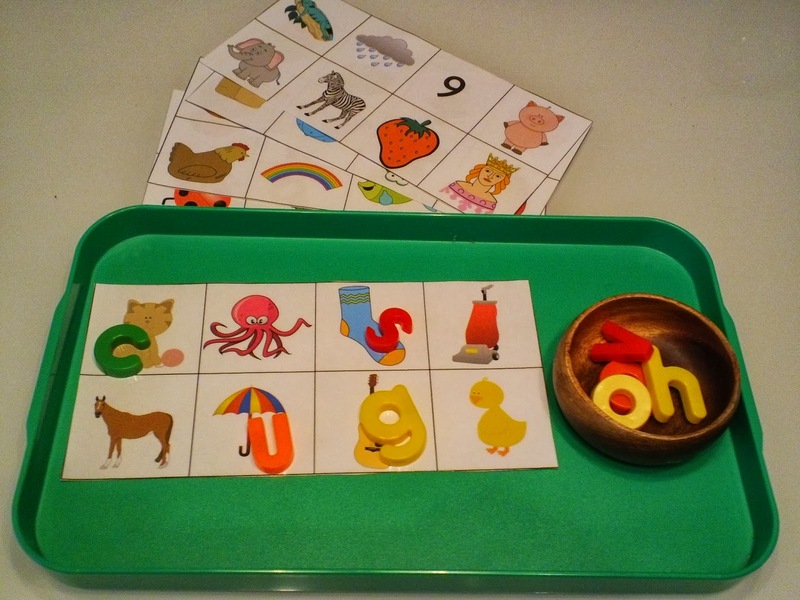 Sound Mats- have the child match letters with the beginning sound of each picture. Download for free. 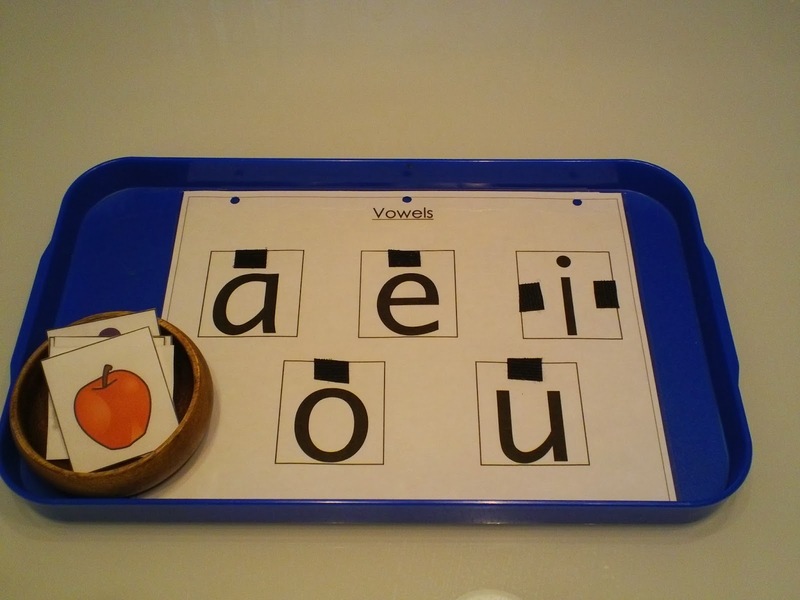 The download brings the files to make your own letter tiles! 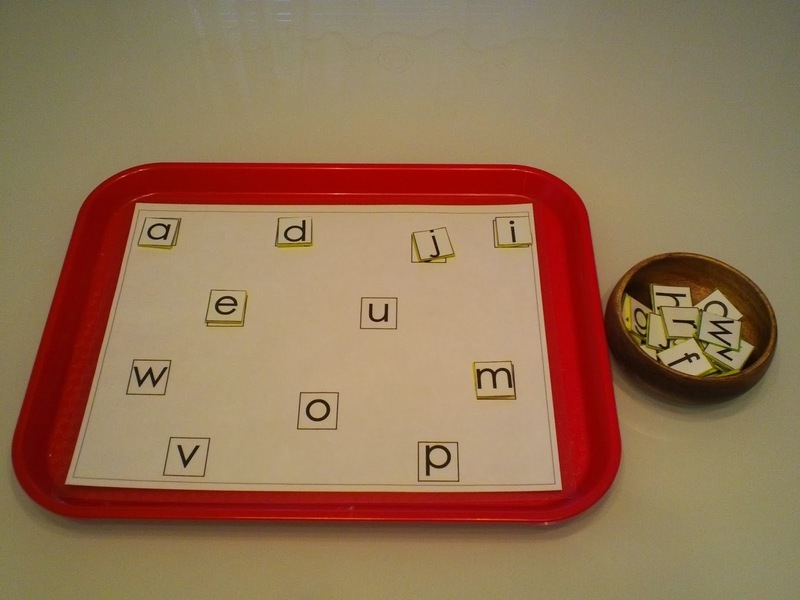 or use magnetic letters as below. 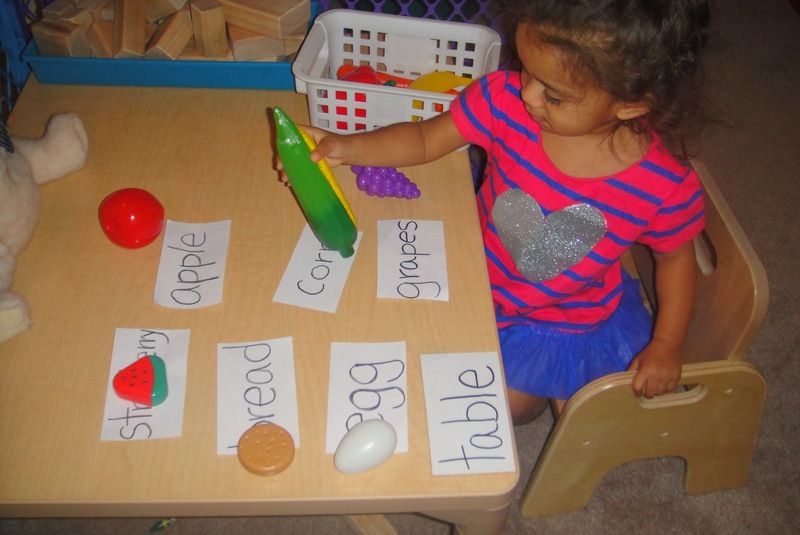 Match magnet letters to pictures to practice letters sounds! I love your work, thank you ,thank you so much you are such an inspiration, thank you for sharing all your work , this website is GREAT !!! it has help me and my two daughters so much. Blessings to you and your family. 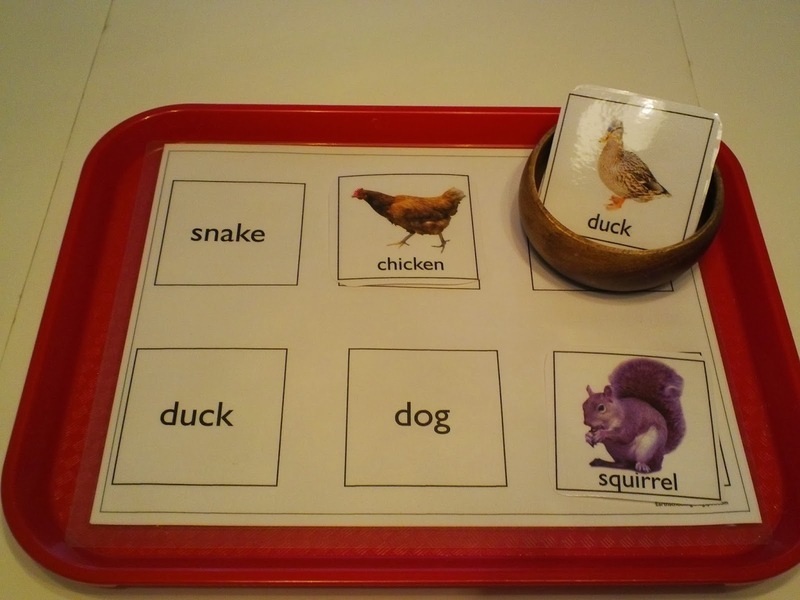 Thank you so much for sharing. I really love what you are doing. I learn so many things from you and your web site. 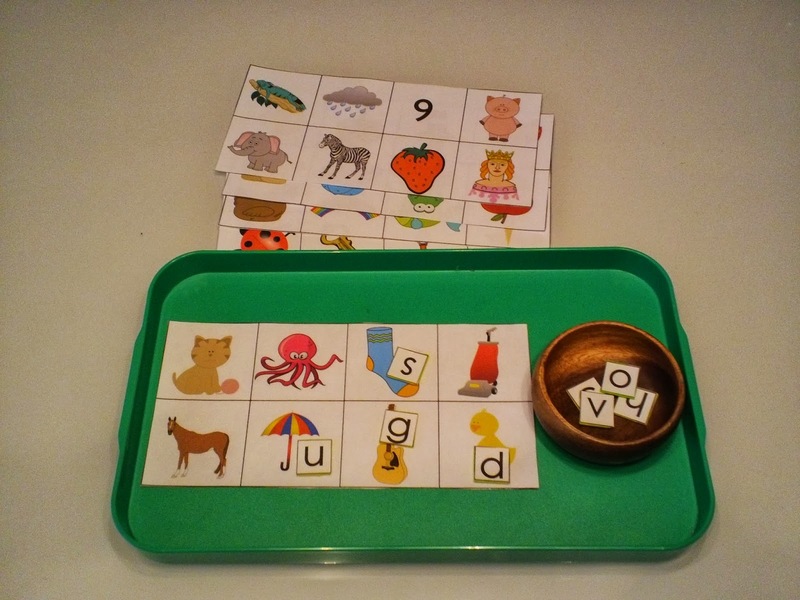 It’s help me to do something for my kids. Thank you.